The Refined Geek » SpaceX CRS-1 Docks At The International Space Station. SpaceX CRS-1 Docks At The International Space Station. Cast your mind back 5 months, where were you then? I can remember where I was quite clearly: I was in a hotel room in a city called Bandar Seri Begawan, the capital of Brunei. With nothing much else to do in town apart from drink coffee and swelter in the unrelenting heat I had made myself comfortable on the bed with my laptop and tenuous Internet connection so that I could witness history in the making. It was there that I saw SpaceX’s Dragon capsule being captured by the crew aboard the International Space Station and brought to dock with the ISS, becoming the first ever private craft to do so. SpaceX, not wanting to falter with their goal of being able to rapidly turn around craft, has today achieved the same feat again and the very first of their official missions, dubbed CRS-1 (Commercial Resupply Service), has just docked at the ISS. Just like its predecessor the payload its taking up isn’t anything to get excited about being mostly crew supplies, materials for new and current experiments as well as hardware for ongoing maintenance of the station itself. 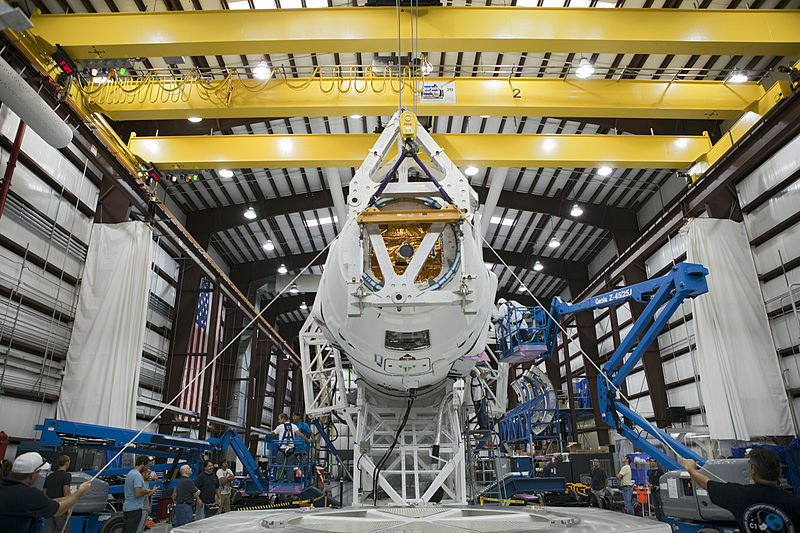 Just like its predecessor it will also be bringing back some payload back with it once its completed its 2 week mission attached to the ISS, something which is still a unique capability of the Dragon capsule. Whilst the mission might be fairly rudimentary its launch has been anything but. Those of us who tuned into the launch live stream on Monday were treated to a pretty spectacular show due to the launch happening at night. There was also a curious incident where one of the engines appeared to suffer some kind of failure with many news outlets reporting that one of the engines on the Falcon 9 had exploded during the first stage. The failure didn’t appear to affect the launch however with the comms chatter saying everything was nominal and with the Dragon arriving successfully you can’t really fault them. In fact the “explosion” was actually part of a system designed to relieve pressure in the engine bay when an engine out occurred. The system was triggered as the control systems aboard the Falcon 9 detected a loss of pressure in engine 1 and shut down the engine which lead to those panels being ejected in a rather spectacular fashion. To put this all in perspective the Falcon 9 can make it into orbit with 2 of its engines failing in this fashion and for many of the previous missions it has actually throttled down 2 of its engines because the additional thrust isn’t required. Thus whilst this was unexpected it was not a situation that they hadn’t accounted for and it was actually a great demonstration of the Falcon 9’s engine out capability, something which is currently unique to it (other launchers, which are no longer flying, have had this functionality). A separate payload that wasn’t part of the CRS-1 mission is the prototype satellite for Orbcomm which was released once the Falcon 9 entered its second stage of flight. Whilst the payload was successfully released it was unfortunately dropped into the wrong orbit, much lower than the one required. Officials have stated that this was due to the engine out causing the other 8 engines to compensate, making them burn for longer than what was originally calculated for. Whilst they might be able to salvage it using the onboard propellant (which will reduce the useful life of the craft significantly) it’s still something of a faux pas on SpaceX’s part. I’m sure that for the next lot of flights it won’t be an issue as SpaceX has a phenomenal track record for fixing this problems as soon as they become apparent. Despite these issues it’s still a great achievement for SpaceX to go from first dock to the ISS to being an official re-supplier all within the space of 5 months. Whilst they won’t make the deadlines that they originally had planned for this year (CRS-2 has slipped to be no earlier than January 2013) they’re still moving at a blistering pace compared to nearly all other players in the space industry. For now they’ll be slipping into the routine of launching cargo missions but it won’t be long before they start sending people up alongside the cargo and that’s an incredibly exciting prospect.